Since I started blogging I am forever thinking of different blog posts to write. Half of them I forget because I haven't written them down and the other half I remember later on in the day or week! I would really advise to jot down a blog post idea the minute it gets into your head. You can jot it down in a small pad or in your phone. 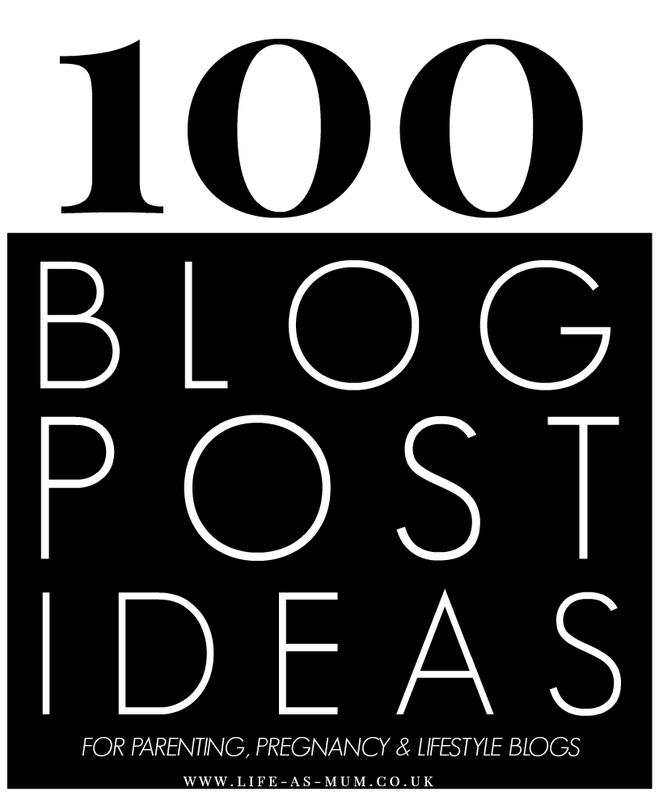 Here is a list of 100 blog post ideas for pregnancy, parenting and lifestyle blogs. I hope they are useful for you. 25. Does it get easier as they grow older? 69. Are boys or girls easier? I read this mommy blog and its give me good idea and full train me how to spend my pregnancy time thanks for share it Nancy Barrette . Great ideas. I think that also a great idea will be post about studying. It's very important thing and parents should pay a special attention to this. By the way, here are some new writing tools that will definitely help in studying. The better children study the more chances to make a great career they have. Thanks and love this list! I'm pinning this for when I get writers block! thanks for sharing it on weekend. Bookmarked this thanks its brill! This is a wonderful list of blog topic ideas to write about for parenting bloggers. Thank you for sharing them. They will come in handy when I'm having writers block. Really good list with lots of different topics!Love this list! I'm pinning this post for when I get writers block!